Paranormal exploration can be educational, rewarding, and yes, even dramatic and “fun.” But there is a tremendous amount of real danger associated with research into this particular field – one in which both the body and spirit can be put at risk. 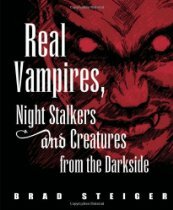 These dangers are part of a vast supernatural reality with its own natural laws – a reality that paranormal researchers encounter every time they set out to explore the unknown. 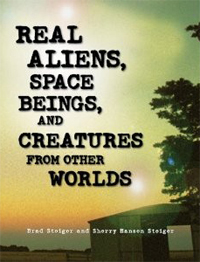 Demons, angels, devils and inhuman beings, shadow entities and the discontented dead – here is a book that will prepare the paranormal researcher for close encounters with all the inhabitants of that “outlaw country” – the realm of the supernatural. Author, Occultist, and Paranormalist Alyne Pustanio makes the case for proving that paranormal encounters with a supernatural reality are continuously occurring in the world around us, and why the path to understanding the nature of these encounters must lead through the vast traditions and teachings of the occult. The city of New Orleans has a long and fabled history, shaped since its founding by the cultures and traditions of the peoples of classical Europe who came to call it home. These people also brought with them their own beliefs about the supernatural and the unexplained. Now, almost three hundred years later, New Orleans is distinguished as the most haunted city in the United States, due in large part to the blending of its fascinating legends and its mythic folklore. 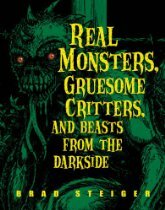 From out of the shadows of this strange, compelling past come the spellbinding stories found in this volume. 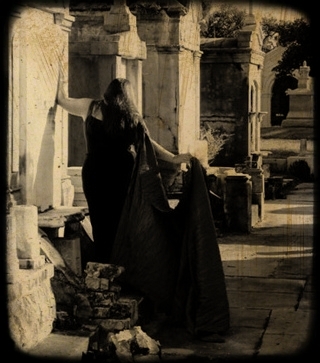 Travel with master storyteller Alyne Pustanio back to a New Orleans where the veil between the worlds was thin; where denizens of the darkness such as vampires and ghouls lurked just beyond the shadow's edge; where mythic creatures walked abroad from the heart of the city to the tractless swamps. Framed with the legends and lore that created them, these stories will leave you spellbound and wanting more! Some people have no scruples whatsoever. They lie, cheat, stab their best friend in the back, sleep with their sister's husband and rip off an entire website and publish it in a book without a second thought. 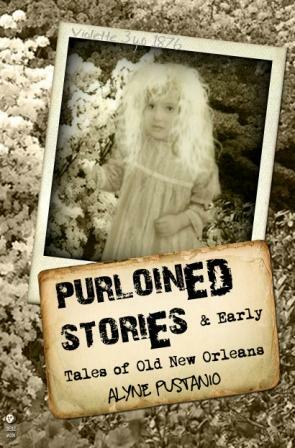 Such was the case with the content of Alyne Pustanio's new book, Purloined Stories and Early Tales of Old New Orleans. Stolen and published by a notorious plagiarizer, Alyne has taken her stories back from the thief and offers them in this fantastic new collection. Told as only Alyne Pustanio can tell them, this book has new and updated versions of the stolen stories plus 12 additional tales of haunted New Orleans, including: the Devil Baby of New Orleans, The Ghost of Chicken Man, Legend of Grunch Road, Little Violette, the Zombi Child, The Rugarou, Werebeasts of the Swamp Indians, The Ghost of Jean Lafitte and the Phantom Pirates of Barataria, Werewolves in Suburbia and many more stories of the supernatural based on legends of Old New Orleans and Louisiana folklore. Written in her signature descriptive and colorful writing style, most people—even your average New Orleanian—may not be able to tell the folklore from the fiction. Once you read this collection of supernatural fiction, folklore and urban legend, you will understand why someone would want to steal her work - some stories are just so good they beg to be stolen! The crow preening on the sunny cottage eave, the cat peering from the cool darkness of the cottage garden, the toad in the rain puddle, the snake warming itself in the sun, the burly black dog, with eyes like kindled coals, stretched lazily across the cottage stoop – any or all of these could share a special kinship with their dark mistresses. Dispatched at sundry times to nearby farms and villages, these loyal servants were stealthy and unobtrusive, and rarely did they fail at the task appointed them. They could be used to steal milk from neighboring cows, to plague the garden of a rival, to steal orchard fruits and grains, to spy upon neighbors or to bring sickness and even death to enemies. Lit from within with the baleful will of hell, they were intractable and unrepentant in the completion of their dark duties. They could kill with a single whispered word of Command. 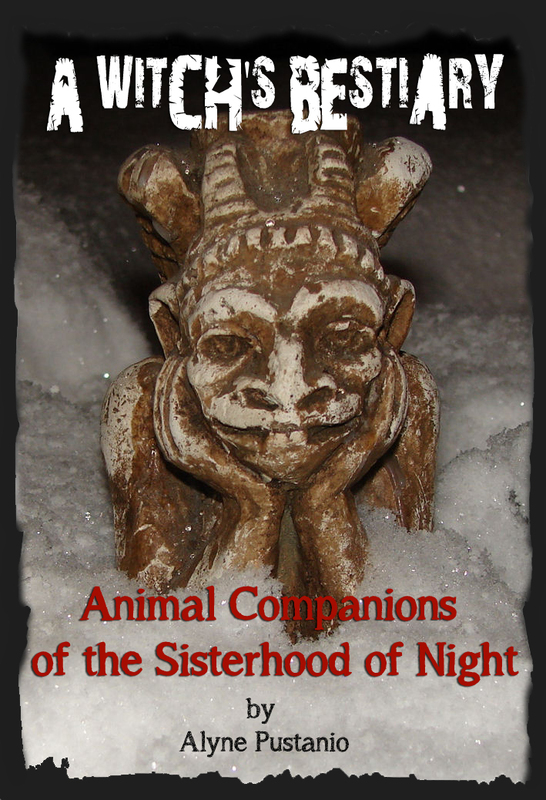 Often these sanguine beasts were the only companions of solitary women and men who, cast out from the community at large, turned to these accepting, affectionate and nonjudgmental creatures to while away the lonely days and nights. 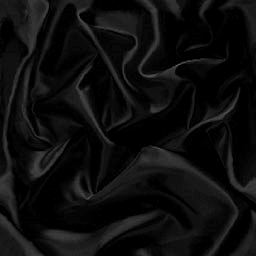 But just as frequently they were the patient and loyal intimates of a dark and brooding mistress who pampered them and whom they, in turn, protected with the fierceness of the demons that guard Satan’s throne. 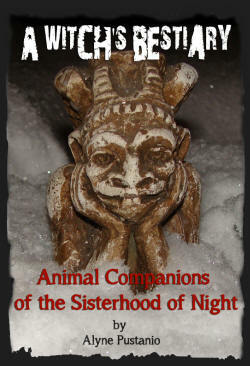 This is a 37 page article that discusses bewitched animals and familiars such as the Black Dog and superstitions about canines, the Cat and witchy cat facts; Foul Demons of the Air, such as Crows, Ravens and Owls; Cold Companions such as reptiles and toads; and the hare. The Chicken Man was well known for his gris gris which he always made tied to a chicken foot for that extra "kick." Nothing fancy here, but then power doesn't require fancy. 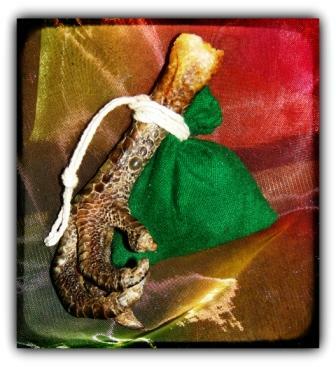 Get your mojo on and order your own Chicken Man-style gris gris by making your choice according to purpose: Money, Love, Protection, Blessings, Good Luck and Success, Healing or Custom - tell me what you need. What’s that howling drowning out hurricane winds and honky-tonks? 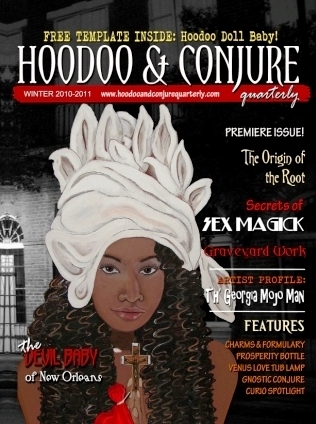 New Orleanians know it’s none other than the Devil’s own child; Godchild of the Voodoo Queens! This is at best a spurious local legend, the origins of which are unknown. There are many who claim to “know the real story” and some who have tried to lay claim to inventing the story in order to capitalize on its ghoulish images. 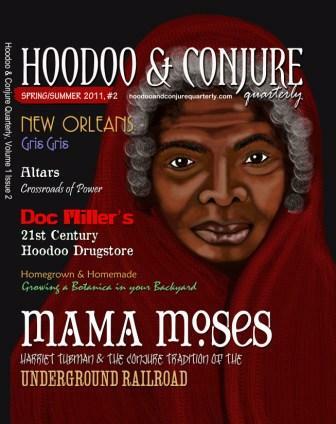 In the early days of Marie Laveau’s rise to fame, her clientele consisted mainly of country folk and free people of color whose long association with the practices of Hoodoo and rootwork made her a natural attraction. But at the height of her power, when her mystique was talked about constantly in fine salons throughout New Orleans, Marie Laveau was receiving visits from both Creole society and the upper-crust white-bread Americans. It was her service to this sector that embroiled her in one of the greatest legends of Old New Orleans: The Devil Baby. (from Purloined Stories and Early Tales of Old New Orleans). Now, you can get your own Devil Baby, just like the one Marie Laveau cared for in the story, The Devil Baby of New Orleans! Custom crafted, each Devil Baby is a unique creation - no two are alike! Prefer a Zombi Baby? I can do that for you as well! 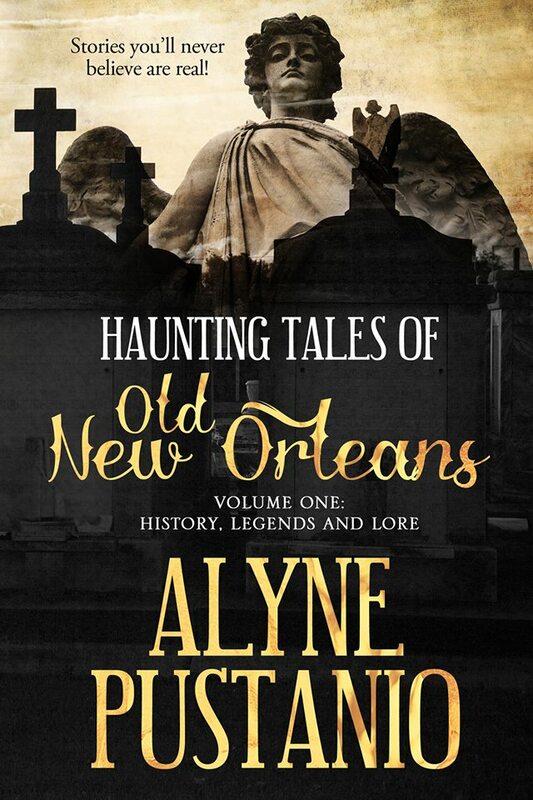 Alyne Pustanio is recognized as one of the foremost authorities in the field of paranormal research, the supernatural, and the occult, and is considered an expert in the folklore and haunted history of her hometown, New Orleans. 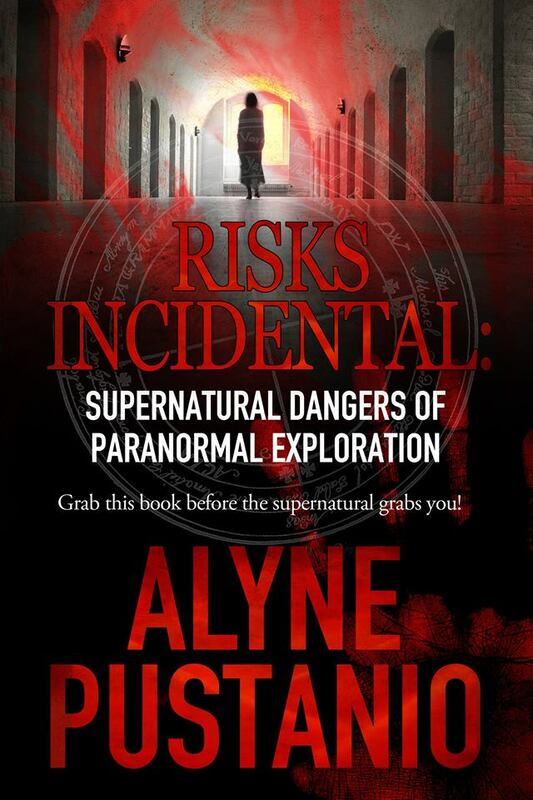 Alyne’s work in the paranormal field is the natural result of a lifetime of exposure to the supernatural and unexplained. 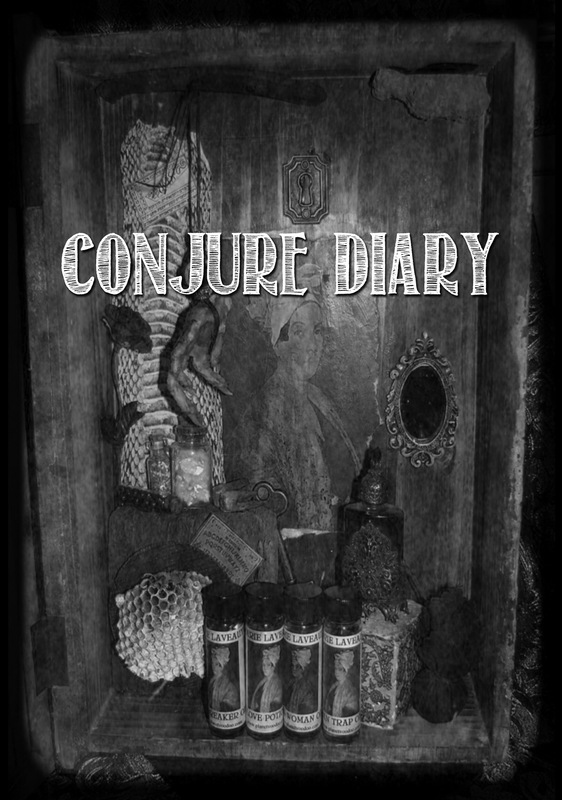 A survivor of supernatural attacks and demonic hauntings, Alyne is especially focused on raising awareness in the paranormal community of the many supernatural dangers inherent in the field of paranormal exploration. As an expert in the paranormal field, Alyne has been featured on the popular Ghost Hunters television series and has been a consultant for numerous other productions on the SyFy Channel, the History Channel, the Travel Channel, the Discovery Channel, the Destination America Channel, Bio, and NatGeo. 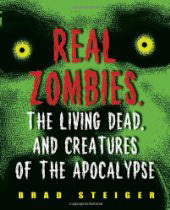 Alyne’s writings are featured with the works of paranormal expert Brad Steiger in his books Real Zombies, Real Monsters, Real Aliens, and the seminal The Werewolf Book: The Encyclopedia of Shapeshifting Beings (Second Edition). 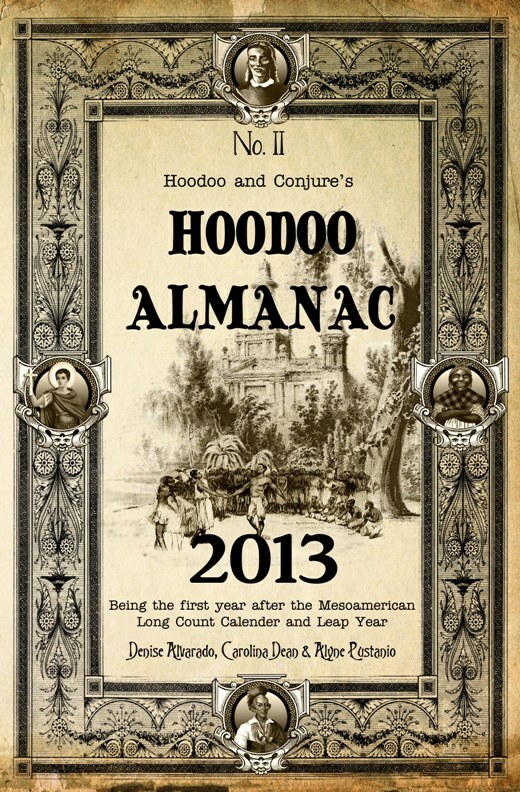 She is also Managing Editor and Creative Consultant of the Journal of Hoodoo and Conjure and Hoodoo and Conjure Quarterly magazine; she is the co-author of the wildly popular Hoodoo Almanac, published by Creole Moon Publications. NEW THIS SUMMER FROM ALYNE PUSTANIO! Alyne has been a major contributor to multiple works. It may be noted by some that many of my "Haunting Tales of Old New Orleans" contain comments, words, and discourse that today might be considered "politically incorrect" in the mind of the average informed reader. The inclusion of these examples of local vernacular and colloquialisms in the stories and legends presented here is a conscious effort on the part of the author to reproduce, to the greatest extent possible, the atmosphere and mindset of the time in which many of the folktales originated. It is not meant to offend or provoke, but rather to preserve the realities and daily nuances of an era in New Orleans and Louisiana - the "Creole Epoch" - that, though familiar to older generations, is fast fading from the character of New Orleans. It is my sincere hope that you read and enjoy these tales in the context and spirit in which they are intended. Thank you. 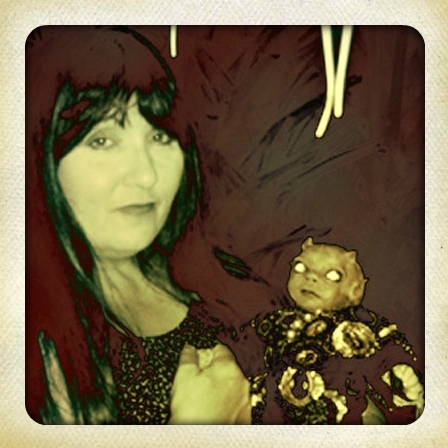 Alyne Pustanio is one of the most sought after experts on the subject of the occult, paranormal phenomena, Zombie and New Orleans Voodoo hoodoo folklore. Her lectures explore the facts associated with the haunted tales of New Orleans and the folklore and supernatural phenomenon of the State Of Louisiana, the Greater Gulf Coast and the World. Check out my Amazon Store!